If you're aching for the opulence and sparkle of diamonds but your wallet can't afford Cartier, Affinity Diamonds may become your best friend. The brand of diamonds, started a few years ago out of Sydney, Australia, has quickly become a go-to option for the budget fashionista looking for an extra glam factor in her jewelry box. 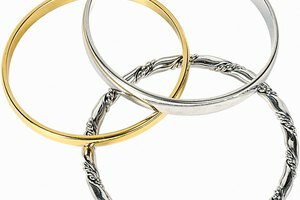 From rings to pendants and tennis bracelets, Affinity Diamonds offers a wide selection of pieces for a budget-conscious consumer. But in many cases the low prices lead buyers to compromise on quality, a compromise that many consumers don't mind making. Affinity Diamonds buys diamonds in bulk in order to present low wholesale prices to the consumer. All diamond jewelry from Affinity Diamonds comes with a Gemological Institute of America or Diamond High Council certificate, adding credibility to its products. With this company, you know you're getting a real diamond. Though it offers little information anywhere about where its diamonds come from, Affinity Diamonds adamantly claims that you will get good quality, and better yet, at a low price. A .5 carat ring with a white-gold band will run you close to $2,000 at Tiffany & Co. An Affinity Diamonds ring of the same weight and style will cost ¼ of that. Affinity Diamonds received its notoriety by being prominently featured on QVC multiple times a year. Affinity Diamonds designs pieces that are exclusively for QVC and they sell very well on the show. They often sell out on air, while many happy customers call in, telling the on-air salesperson how happy they are with their piece. The exclusive QVC pieces are also sold online year-round. They have nearly every type of piece that you could want, and the designs are diverse. Whether you want something a bit conservative or more expressive and creative, you might find something special on the online shop. Affinity Diamonds' special line of colored diamonds, called Skylit® Colored Diamonds, often rake in the largest amount of orders. The special diamonds, in black, gray and rose tints are sometimes paired with other gemstones like rubies, sapphires and emeralds. They are a pretty and edgy alternative to a normal diamond. The designs that use the colored diamonds are also more risky stylistically. It's no surprise that these are the major sellers. The colored diamonds are usually cleaner than the normal diamonds. 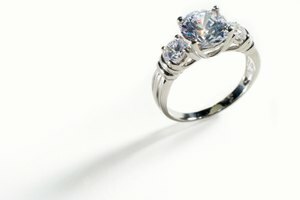 The color, combined with the more creative design, also helps to conceal the possible lack of quality in the diamond. 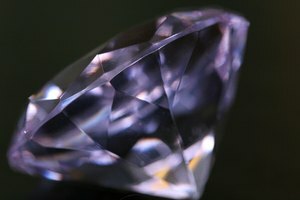 Affinity Diamonds offers little information on how the diamonds receive the color. How Nice Are the Diamonds? But we all know that low price doesn't always equate to low quality. But unfortunately, in the case of Affinity Diamonds, it may. The company keeps prices low by getting diamonds in small sizes. Diamond weights on pieces never reach above 1 carat. None of the pieces has large, centerpiece-like stones. The diamonds are pave style, meaning that a number of small diamonds are used to make up the full carat weight. The clarity and sparkle of these diamonds are also somewhat questionable. 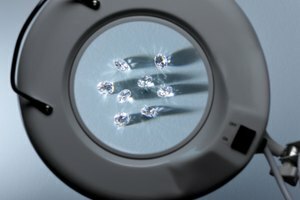 Many buyers testify to seeing specs of coal on their diamonds without the use of a magnification tool. This can be a small price to pay for a small price, but if you're looking for the perfect stone, you will probably want to look elsewhere. In the end, the old saying proves true. You get what you pay for with Affinity Diamonds. The stones aren't overwhelmingly dirty or spotty, but their price tag is clearly visible when you examine the quality of the piece. But if you're dying to own a rock at any (low) price, this could be for you. User comments on the diamonds are positive when the buyer knows exactly what he is getting. But many consumers who buy a diamond from Affinity Diamonds without knowledge of the company end up unhappy. If you're excited about the prospect of an inexpensive diamond ring, but don't want to dive in head first, buy your Affinity Diamonds product from QVC, which offers a 30-day money back guarantee, no questions asked. Affinity Diamonds can be a cheap girl's best friend. A small, less dazzling friend, but a friend nonetheless.